Home Tags Posts tagged with "taxi app"
New York City has dropped its plans to limit the number of Uber cars operating in the city. Instead of the cap, the taxi hailing app has agreed to take part in a four-month study looking at the impact of its cars on traffic and pollution in the city. In return, New York said it would not impose a car limit for this period. The move comes the day before a city council vote, which could have seen the cap imposed. The deal NYC has struck with Uber appears weaker than the legislation in the vote, which called for a 1% cap on the company’s growth in the city and a year-long study. In a statement, Uber said it welcomed the agreement. “We are pleased new drivers will continue to be free to join the for-hire industry and partner with Uber. 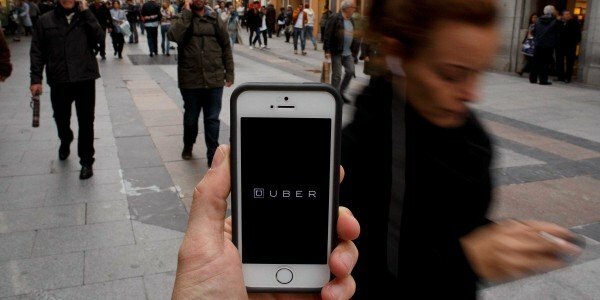 Together, we can build an even better, more reliable transportation system,” said Josh Mohrer, Uber NYC’s general manager. Since being founded in San Francisco in 2009, Uber has grown into a huge ridesharing enterprise – with services now offered in more than 200 cities. However, in many cities, local cab companies and drivers have staged protests against the service. In New York, complaints have centered around the idea that Uber has become too dominant, overtaking the city’s iconic yellow taxis.